RANTWICK - Commuter Cycling in London Ontario | A Bike Blog: Record-Breaking Smackdown Entry! That's a pretty little maple. 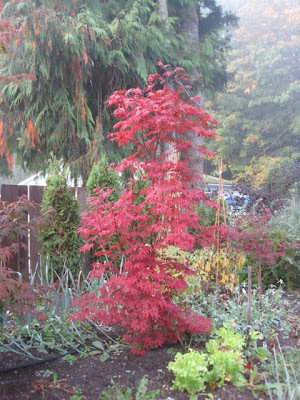 I have a similar sized sugar maple in our yard that my husband planted a few years back. There's nothing like creating your own foliage - love it! Nothing has changed color here yet. I keep looking! Keri - Still a couple of weeks left... thanks for keepin' yer eyes peeled. Steve = #14 . Awesome.